Gateway to Reason is back this July 28th through 30th 2017! 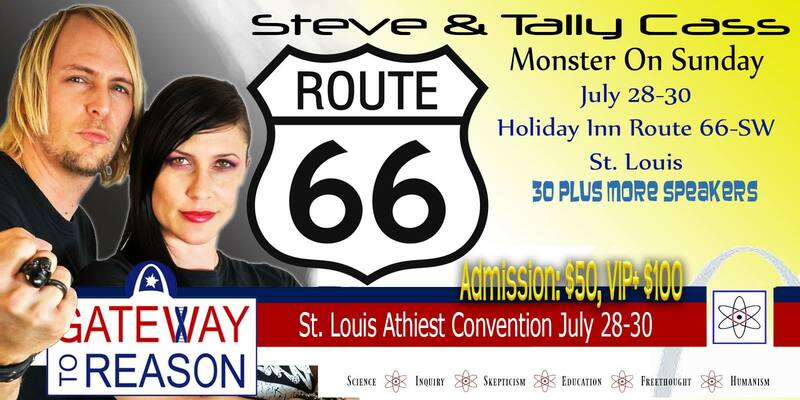 St. Louis premier secular conference is taking place in Sunset Hills in St. Louis County at the Holiday Inn and The [former] Viking Conference Center on Historic Route 66. Some new faces as well familiar faces will be back to share their views and expertise in many areas of humanism, comedy, education, atheism, activism, skeptic and other areas. Special ticket prices for students and group are available. sarah@gatewaytoreason.com for more details. Many vendors will be there for you to get involved and items to display your level of activism and interests. Combo room, VIP and ticket packages are available. See Eventbrite Gateway to Reason ticket page for details. Student tickets $15 with valid student ID. We are headlining the Reason Rally Crystal City After Party on June 4th, where you can watch us perform our full Baby Eater album live. It is a great honor to be a part of this historic event, and we hope to see you there. Don’t forget to buy your tickets before it sells out! 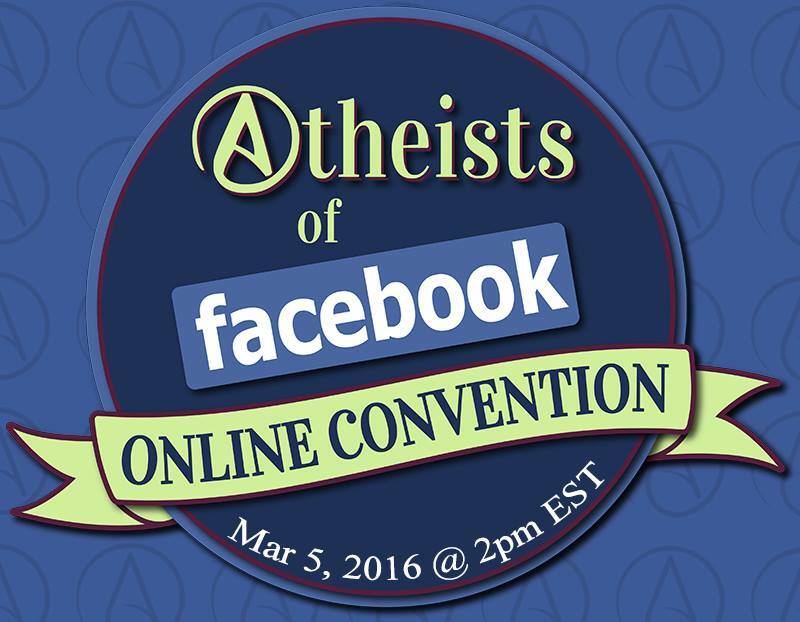 We will be taking part in the 3rd Atheists Of Facebook Online Convention where we will release a full concert bootleg for the afterparty! There are so many great speakers scheduled, don’t forget to check it out! Enjoy a magnificent evening with a stellar line-up of atheist entertainers! The show begins with “comedy that makes you think” by Steve Hill, a popular atheist comedian at secular conferences around the country. Next will be the worldwide touring atheist folk musician Shelley Segal. Experience her songs live from her new EP “Strange Feeling” and more! 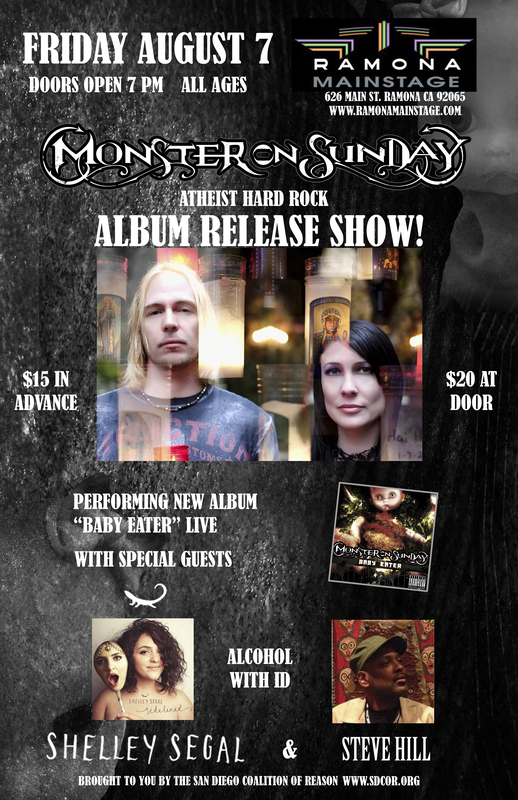 Finally, Monster On Sunday – the new atheist hard rock band you’ve been hearing about throughout the secular community from authors, speakers, activists, organizations, and award winning atheist podcasts! Headlining and introducing a new wave of lyrical rationality, they will be performing all ten songs from their album “Baby Eater” live to celebrate their first album release. All songs on the album are focused on the topic of atheism, and you can expect to hear everything from emotionally intense hard rock ballads to bold in-your-face rock. 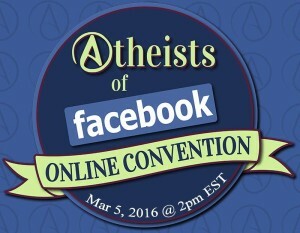 It’s a MUST SEE EVENT for any nontheist and as for theists, prepare to have your beliefs challenged! Held at North County San Diego’s premiere concert venue the Ramona Mainstage, which sports a 45-foot-wide professional-level stage, lighting, and 65,000 massive watts of power! The venue is all ages, offers food, alcohol, seating, and holds up to 600 energized patrons, so bring all your friends! $15 in advance, $20 at the door. Also available are some cushy VIP booths that seat 6 for just $100 (tickets included)! Thank you for supporting fun events for the secular community! We are playing at San Diego’s first ever Secular Fair! This fair is sponsored by the San Diego New Atheists (SDNA), the San Diego Coalition of Reason (COR), and American Atheists. Seth Andrews of the award winning atheist podcast ‘The Thinking Atheist’ will be headlining the entertainment. Also magician “Sleeveless Steve” will be performing, and “Parenting Without God” author Dan Arel will speak. We’ll be playing a sneak peak of songs from our upcoming album which is set for release August 7th, 2015. We are hosting the San Diego New Atheists (SDNA) Concert and Party at our new Band Studio located in Poway California. 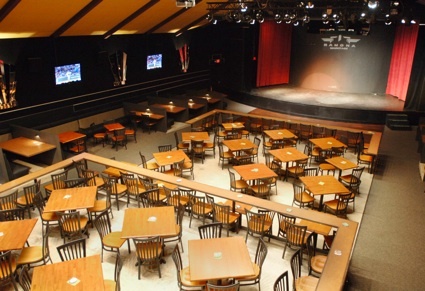 We’ve got a much larger space that can accommodate up to 30 people! We will be performing all ten songs on our upcoming album. Also enjoy our new light show and plenty of good food and drinks! The basic F&B will be provided but please bring a small appetizer to add to the table as well. We are going to have a Secret Session! 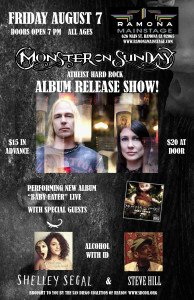 This will be a live pre-production listening party at the Monster On Sunday practice studio located in Poway California. We will be playing our six new original songs and one cover song to an intimate crowd of ten or less. If you would like to attend, please RSVP right away as space is limited. It’s time to meet some skeptics! We’ll be performing a few new original songs and one atheist themed cover song for the San Diego Skeptics Thanksgiving Feast at The Storm Hold in San Diego California. San Diego Coalition Of Reason (COR) is putting on the first ever Sunday Assembly at the Balboa Park Club Ballroom in San Diego California and we are playing our new original song ‘Stardust’. This song was inspired by ‘A Universe From Nothing’ by the famous atheist cosmologist Lawrence Krauss. We’re looking forward to meeting Sanderson Jones and Pippa Evans. The local TV news channel will be there covering the story too! We will be headed to the San Diego New Atheists Halloween Party at Pedro’s Mansion in Chula Vista California to play a few of our new original songs. We’ll be the zombies stumbling around at the event, so please say hello!